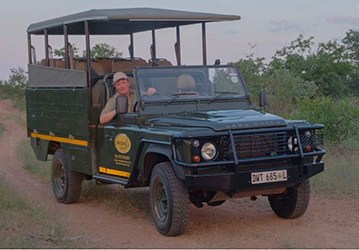 This wonderful walking safari offers you the extraordinary thrill of discovering the wild untamed African bushveld on foot, as well exploring this magnificent wilderness by day and by night in an open safari vehicle. 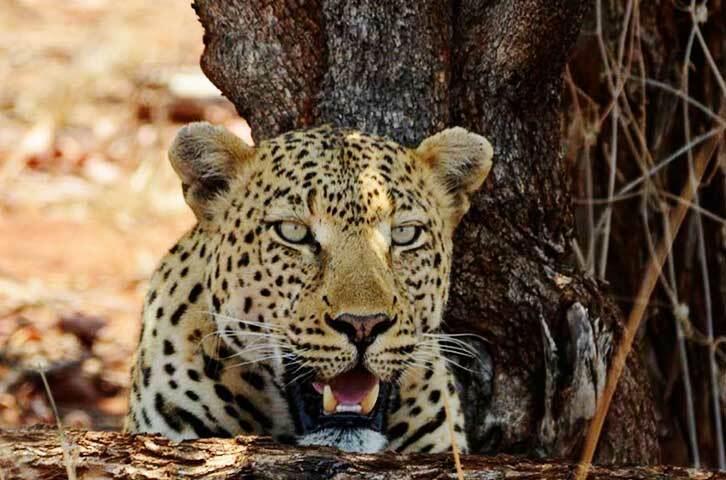 You explore both the iconic Kruger Park, and the private Letaba Ranch Game Reserve, which forms part of the Greater Kruger National Park Conservation Area. Within minutes of being picked up in your private open safari vehicle, you are on safari, in search of Africa’s magnificent wildlife! It is one of the most exciting experiences to view untamed Africa and its magnificent wild animals in their natural environment from an open safari vehicle! 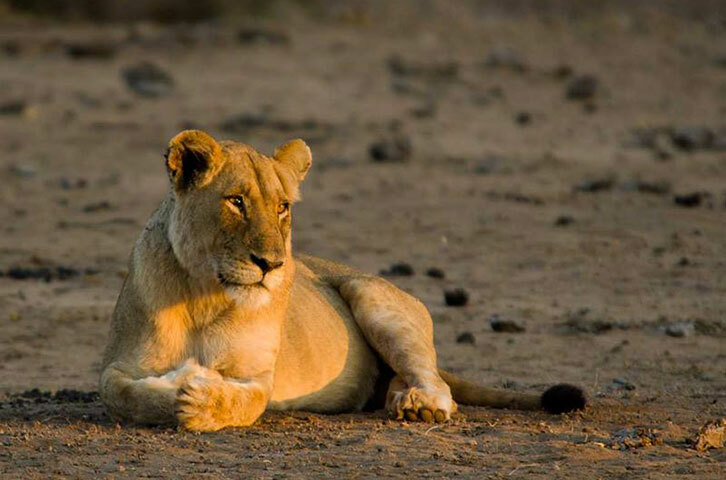 The Kruger is famous for its incredible density and variety of animals - and it’s definitely Big 5 territory, giving you the opportunity to experience fabulous sightings and encounters with Africa’s fabulous animals! We set out at sunrise with coffee in hand. Experiencing the start of a new day in the bush is very exciting. Wildlife is active in the early morning as the rising sun signals to the animals that it’s time for the predators to settle down after a night of hunting, and the rest of the park to wake up and set out for their day’s activities. Being part of the bushveld as its animals prepare for another day is an amazing experience and offers some fabulous sightings and experiences. You haven’t experienced Africa until you’ve experienced it on foot. Being on foot allows you to be part of wild untamed Africa. 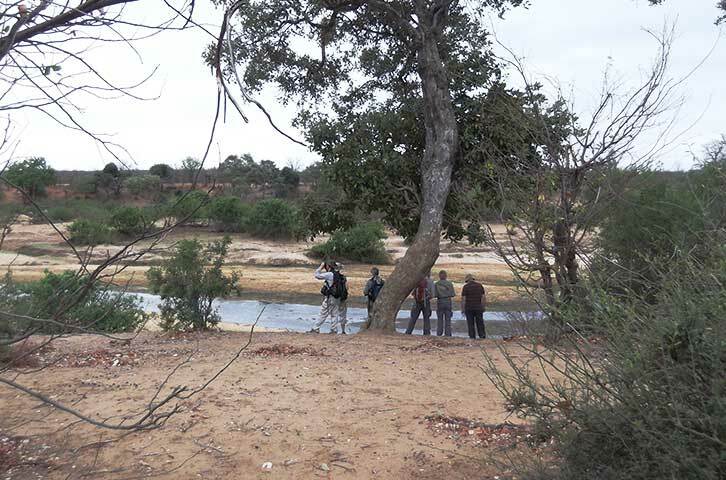 The walk is led by two experienced and armed rangers who share with you their intimate knowledge of the bushveld and wildlife. It is incredibly thrilling. 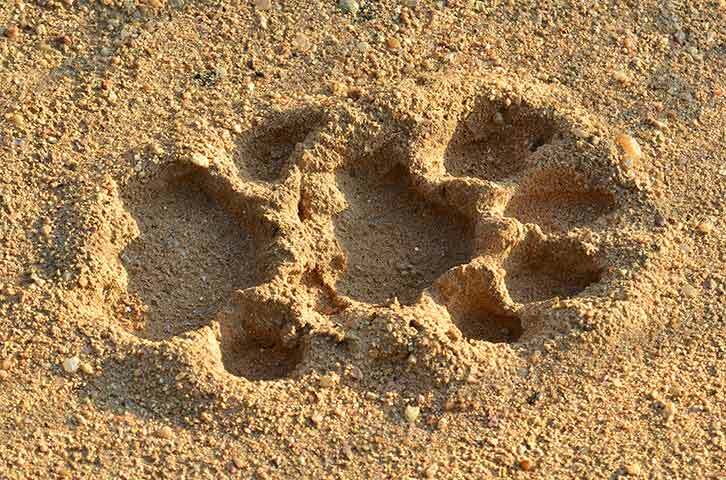 Although the walks are in Big 5 areas, the main aim of these trails is to have a wilderness experience. The focus of the walk is on you tuning in to your senses and the daily drama of life in the bush. 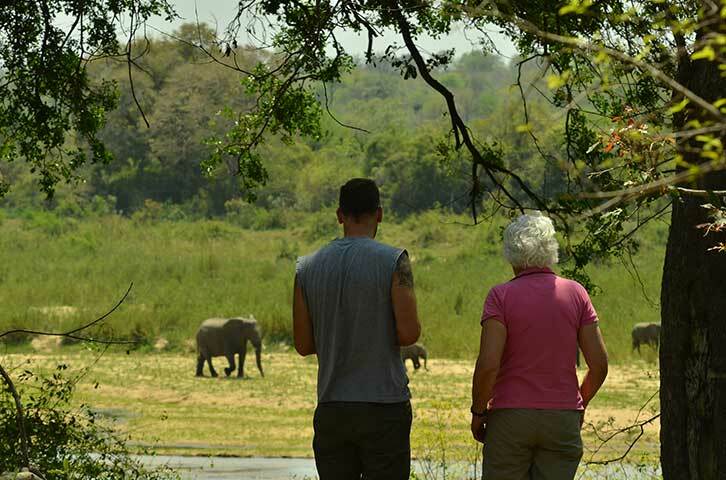 No two walk experiences in the bush are the same as your guides lead you through different parts of the bush, sharing their intimate and extensive knowledge of the bushveld with you. Walking through this fabulous bush - so rich in animals, beautiful birds and fascinating insects - allows you to connect with nature in a way that will give you a different perspective on yourself, and your life... and recharge you soul. After your bush walk you spend some time back at the camp, where you can eat, take a siesta, swim... or just chill under a tree! Then you set off on your afternoon safari. Your bush walk will have given you a new insight into the bush and the animals, making this an amazingly meaningful safari. 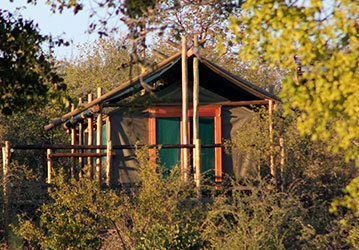 You will be able to appreciate the bush and its extraordinary inhabitants in entirely new ways. In the late afternoon, we arrive at Letaba Ranch’s Mtomeni Tented Camp. You begin your day with a private morning bush walk from your wilderness camp with your own private guide… just you, your guide and the magnificent wilderness. Being on foot immerses you in the bush. You feel part of the environment which allows you to focus on the patterns of nature, the intricacies of tracking, the signs of animal presence, the signalling sounds of birds and game, and the inter-dependent relationships of different animals. It is a life-changing experience! Exploring the untamed African bush at night in your own private open safari vehicle and with your private guide is thrilling! 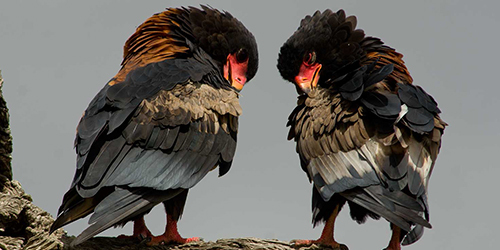 Aided by a powerful spotlight you may have the chance to see mysterious animals that you never see by the light of day… bush babies, aardvarks, genets, nightjars, porcupines, and many others. For those used to living in light-polluted and noisy urban areas, the total darkness, the stunning Milky Way stars overhead and the incredible sounds of an African night is an experience you will never forget. Dinner is a stunning and unique South African eating experience - a braai (so much more than a barbeque!) 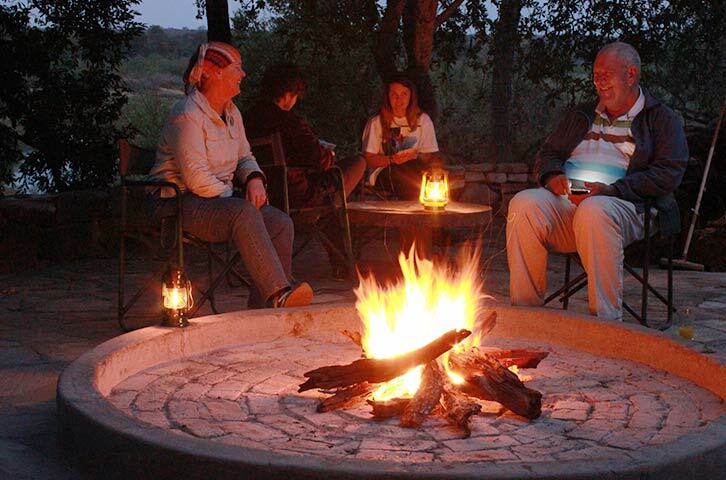 There is little to beat sitting around a roaring fire in the African night while your food is being grilled over the coals... the magnificent stars above you, and the magical sounds of the African night echoing around you! Delicious food! Wonderful experience! Once again you set out on a thrilling morning walk with your own private guide… just you, your guide, the untamed African wilderness and its wonderful animals and birds. Every moment spent exploring the solitude of the African bush on foot brings a new sight, a new sound, a new experience with animals and nature… it’s a truly magical experience... and a fabulous way to wind up your walking safari! After your bush walk we set off on our drive back to Phalaborwa or the Kruger Park airport... leaving behind you this magnificent wilderness... but taking with you a lifetime’s memories of the exploring this spectacular part of the world and its wonderful animals both on foot and in your open safari vehicle! 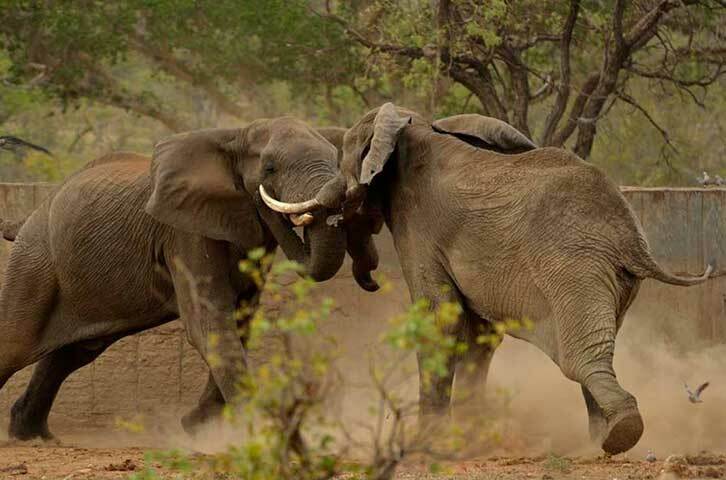 You stay 2 nights at a rest camp deep within the Kruger Park; staying in an African style bungalow with en-suite bathroom and air-conditioning. You spend 2 nights at Letaba Ranch’s Mtomeni Tented Camp in African style safari tents with en-suite bathrooms and fans. Both give you an exciting and authentic African bush experience. 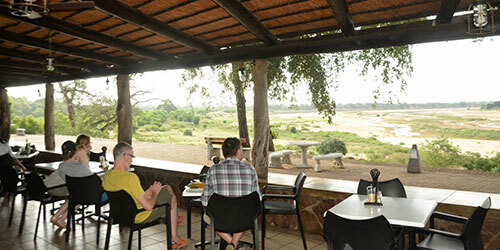 The Kruger Park rest camps have excellent restaurants with beautiful big decks overlooking the bushveld. The menus offer a wide selection of delicious choices to suit all dietary preferences. You can also enjoy light lunches, salads, pastas, burgers, cold platters, specialty sandwiches and delicious desserts! The catered food at Mtomeni Tented Camp is absolutely delicious, bursting with flavour and served with warm South African tradition! And as for a braai... it is a bushveld experience beyond all others! This brief overview merely touches on the tour highlights... drop us an e-mail and we will send you a detailed tour proposal, filled with beautiful images and every detail you want to know! This costs you nothing and there is no obligation to book with us, so don't hesitate – enquire now because we would love nothing better than to give you a Walking Safari experience that leaves you wanting to stay in Africa forever!